For more information about the Nature Conservancy of Canada's (NCC's) Conservation Volunteers program, please contact the volunteer coordinator in your province. 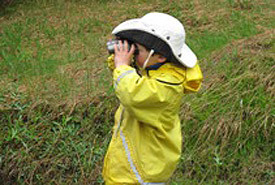 Want to help spread the word about NCC's Conservation Volunteers program in your neighbourhood? We can send you posters to put up at your school, campus, work place or in your local library. Just email our national office with your name, address, the number of posters you would like and where you plan to put them.